47818, 47810 tucked away in powder blue undercoat, and 57003 (formerly 47317). 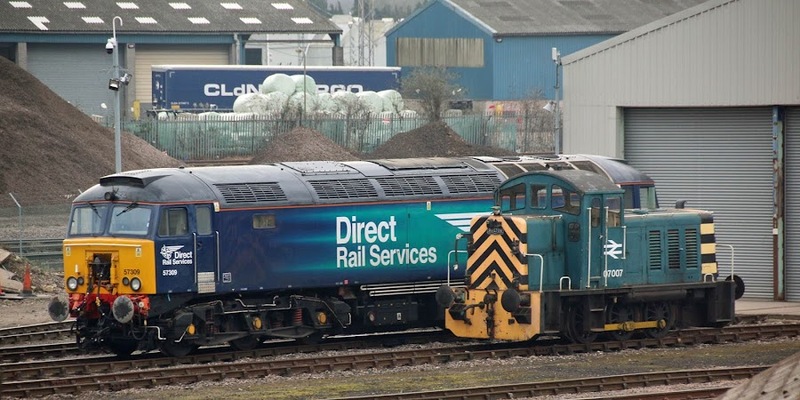 57309 (formerly 47806) has received recent attention within the works, seen here with 07007. 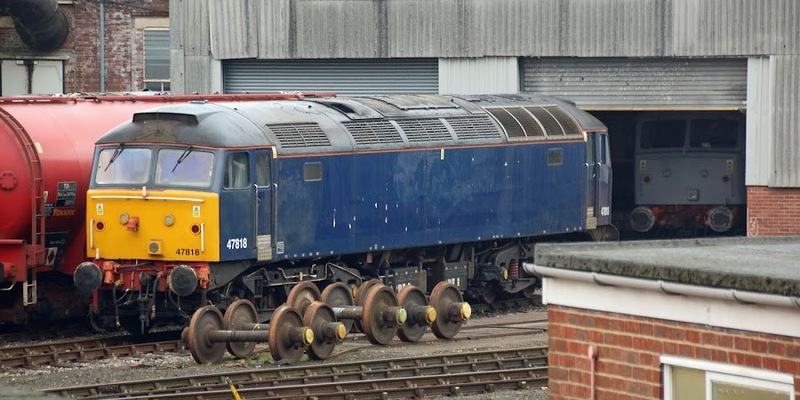 47818 has recently been off its bogies in the works, again with 47810 (for Locomotive Services) in the background.